Will the Mind Game be included in the movie? 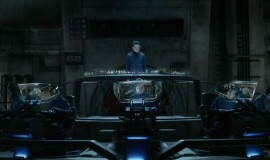 IGN – Ender’s Game the “next Star Wars”? 3 weeks away from Star Trek!! We are also very proud to present our second guest for Pop Quiz, Fart Eater: Alison! Hooray! Will she prevail? Find out by listening to the episode! You can view our Pop Quiz, Fart Eater standings here. Thanks guys! Be sure to comment and give us feedback! So, the Mind Game is Everquest. It did have deep psychological impact on me too. Pingback: Ben Kingsley Calls 'Ender's Game' a "Very Exciting Franchise"
About Ender’s Shadow: I’ve read comments that it is way better than Ender’s Game, and that Bean should be the main character in the franchise. And then other comments disagree, saying that Ender’s Shadow deconstructs the figure of Ender and makes Bean much smarter and more experienced and basically has you questions why, apart from his charisma, Ender and not Bean was chosen. What is your stance on that? I side with Ender all the way. Since Card has said that Bean was never intended to be that way and Ender is the character I love the most, that’s probably why I didn’t like Bean being so smart and so potentially undermining for Ender. You don’t tout ONE kid as “The One” with a smarter backup that got given the reigns during the final battle. That really annoyed me. Why do you think Card did it, though? I mean, did the story get away from him? Or did the try to sell more books by making Bean the new hero (because Ender was so damaged and also already established as older and far away through Speaker for the Dead)? I dunno, I have been holding off reading Ender’s Shadow because I adore Ender and his struggle is so heartwrenching – I don’t want to see it deconstructed and, you know, made less. I dunno, but since you feel the same way I feel, I’m curious to see what you think! Because I do think what you said was how I felt, like Ender’s victory was somehow made less by Ender’s Shadow.